This table consists of a solid oak top with evidence of some old repairs with a shaped frieze below. 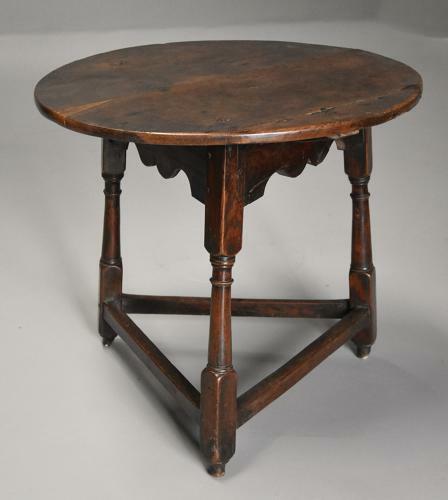 The table is supported by three turned legs joined by a stretcher leading down to turned feet, the feet a little worn probably from standing on damp floors, this style of table often used in taverns or pubs over the years. This table is in good original condition, is of stable construction and can go straight into a home.